Baggage is the belongings which a traveler carries on his journey. A person can carry a fixed weight of baggage while on their travel in airlines. Almost all the airlines of all the countries have the same rules for the weight of the bag that can be carried on their journey. There may be slight differences in the number of items check in. In India, the items coming to India and taken out from India come under the Exchange Management. Custom duties have to be imposed on these articles at a specific rate. The traveler has to get the clearance from the customs officer and this has to be made with a declaration by the traveler by filling up the prescribed form. The rates and tariffs are then determined. 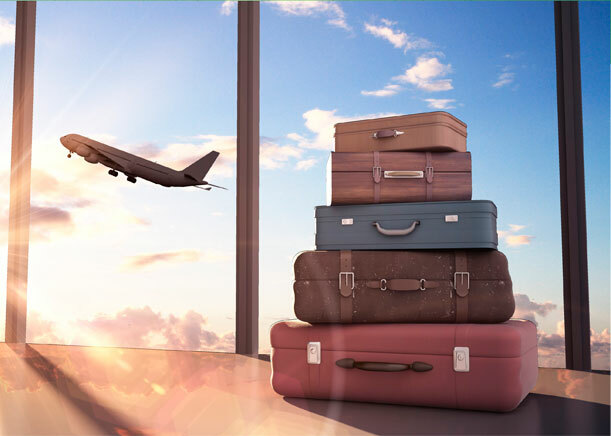 The baggage rules may vary based on the duration of the persons stay, age or their country. Every passenger has a duty free allowance according to which the person can carry any item without paying any duty charges. But in case when the value of the items exceeds the duty free allowance then the person has to pay the customs duty for the excess value. The personal articles are exempted from paying any duty charges. Gold and silver jewels in excess of permitted limit. The maximum limit for females is Rs.20,000 and Rs.10,000 for males. Indian currency exceeding the amount of Rs.1000. Harmful drugs such as coca leaf, cocaine, hemp, charas, opium, morphine, etc, and also their mixtures or derivatives. Vulgar material that includes obscene magazines, books, pamphlets, drawing, painting, representation, figure, or any such item. Some other restricted items include plants, parts of plants, soil seeds, fruits, dry fruits, vegetables, flowers, coffee seeds, coffee beans, cottons and un-manufactured tobacco. Pet animals and birds are allowed but in limited numbers only. Now most of the airlines have reduced the weight and size of luggage which a person can carry free of cost. There are some airlines which charge for each and every bag which the person carries during the journey. Almost all the airlines allow carrying overweight or oversized baggage, but the traveler has to pay extra amount for the additional weight. The requirements of airline are different and the policies are subjected to changes at any time. The passenger has to make sure that the handbag which they carry is flight is not oversized or overweight because all flights may not have sufficient space for storing onboard. Make sure not to overstuff your bags as the airlines officials may check it if required. The travelers on executive/business/first class airfares are not affected with such problems as they are allowed with more luggage allowances. The standard luggage allowance includes a bag of a certain size and a personal item that can be kept beneath their seats. The personal items which a traveler can carry include Briefcase, handbag, laptop, umbrella etc.